· Universal Windscreen reflective visor. · Heat Cover, high Quality. · Foldable, easily fits in car. · Reflective surface keeps the heat away. · Reduce heat by reflecting sun. · Keeps your car cool during the summer. 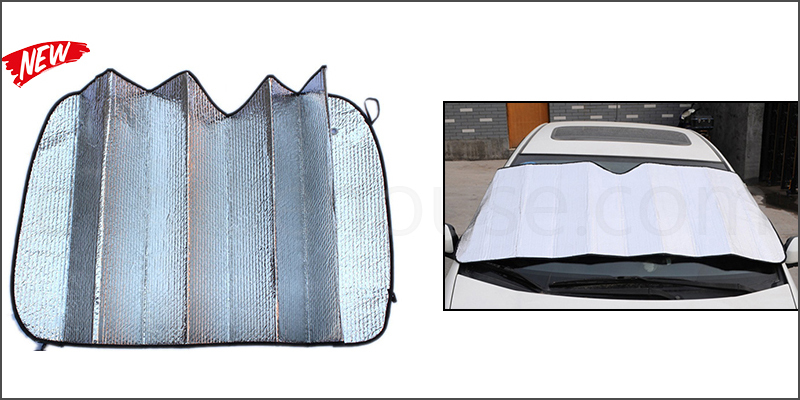 · Reflects the sun rays to protect your car interior and prevents cracking to dashboard. · Blocks 99%of UV-A and UV-B rays. · Flexible and light weight, easy to operate. · Folds easily for compact storing. · Two black elastic straps helps keep sunshade closed and secure. · Install it to the place you want, Front or Rear Windshield.